Given the enormous amounts of information flooding the digital world and the ever increasing demands placed upon modern technology, a different type of computer is soon going to be needed. After all, we can only continue to shrink modern computer components so far before we near the atomic scale, rendering them useless due to inevitable energy loss. The solution to the ever increasing need for massive storage and computation power may be in quantum computers. A Quantum computer is similar to the standard binary system where information is stored as a one, or as a zero. However, a quantum computer can also store information as both a one, or zero, simultaneously. This means that while a “bit”, which is the basic unit of digital computing, can only hold either a one or zero, a “qubit”, the basic unit of quantum computing, can hold both. Therefore, two qubits can hold four values, three qubits can hold six and so on. The power of quantum computing will continue to grow exponentially as additional qubits are added. While standard bits are generally stored as positive or negative voltage, qubits can be spinning photons, electrons, wire or even diamonds. The direction of spin gives their zero, one or both zero and one status and when a force effects them, they become entangled. Entanglement means that two particles become related and will, in effect, mirror each other over long distances. This enables a quantum computer to solve a calculation all at once, instead of step by step as binary computers do. Exponential computing power, combined with the fact that a qubit can be simultaneously a one and zero at the same time, gives quantum computers another edge over binary. This is because a quantum computer can also explore different solutions simultaneously, instead of one at a time. Imagine having thousands of computers working in unison to solve your problem. 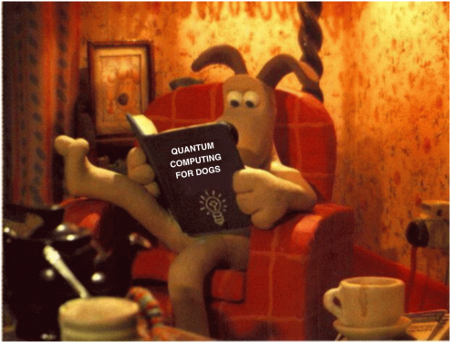 This is, in essence, how quantum computers work. They can cut the amount of time needed to find a solution by well over half, reducing a problem that might have taken years to solve to mere hours. While quantum computers are currently being made and sold to large corporations, they are not currently practical for the average user. They require a large space and a highly controlled environment. Qubits are very fragile and to be accurate they require ultra-low temperatures, radio shielding, magnetic shielding a separate Faraday Cage and closed cycle cryogenic cooling to constantly maintain their temperature. In order to keep errors to a minimum, the central processor must stay at absolute zero with little or preferably no outside interference. Despite their fragile nature, quantum computers may be the future of computing. According to quantum theory, they will be able to factor the extremely large numbers that are necessary for coding and decoding information. They should also be invaluable in genome research, image analysis and eventually artificial intelligence. The practical uses of quantum computing in the development of artificial intelligence are already being examined due to of the unique way quantum computers are able to approach problems. With traditional computers you tend to ask questions similar to standard math problems such as, “if A and B, calculate C”. However, with a quantum computer you can give the computer the destination you seek or result you want and ask it to show you the best possible way to reach it. This ability to find and recognize patterns is part of what makes quantum computers so valuable. With the advent of video surveillance, the ability to quickly and accurately sift through days of grainy video and pull out and enhance images, and accurately identify targets will be invaluable. Quantum computing is currently being used for encryption, long calculations and most importantly software validation. As technology reaches every aspect of living, having error free code is indispensable and a quantum computer is the perfect solution for testing and validating software code as quantum computers solve problems in a more probabilistic manner. While binary computers can only find one solution, quantum computers can find the optimal solution out of many.